Last month, we published part one of a feature article on social media and DAM and examined how there are two strands to social media: user interaction techniques used on existing application and dedicated social media platforms such as Facebook, Twitter etc. The focus of that item was on the first element: how social media features get used within DAM systems. I discussed how these features are popular with some vendors (especially those that use web browsers as clients) but there is some risk of them being not fully utilised and being regarded as gimmicks. The second part of the article is going to look at how DAM interacts with Social Media platforms. I will cover various techniques, including how DAM solutions can be used as a Social Media distribution and brand management tool. 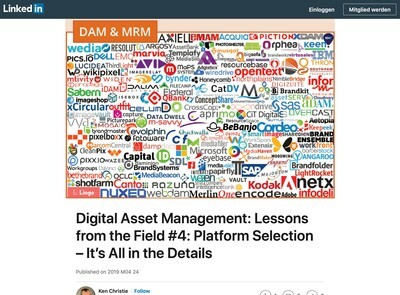 Although leveraging Social Media interaction methods inside a DAM is interesting, I believe it is this second topic, using DAM to manage media distribution across Social Media channels which is more useful and offers the greater opportunity for DAM users. General Social Media such as Facebook, Twitter, Google Plus and maybe some more specialist channels like LinkedIn. Asset type-specific Social Media such as YouTube or Vimeo (for videos) or Flickr and Instagram (for images). Collateral Social Media: blogs and personal pages where users employ Social Media assets they have harvested from other Social Media platforms. The last point especially illustrates one of the key themes from this whole discussion about Social Media: once the asset has left the DAM system, you have a diminishing ability to control how it is used and by whom. Most Collateral Social Media asset usage is unauthorised and therefore technically illegal, but as I will discuss what you decide to do about it depends on whether you even knew about it to begin with, if you planned for it in advance and (more importantly) the specific circumstances of each case. Social Media poses both a threat and opportunity for enterprises and their digital assets. The threat is that some employees either do not realise or care about how your media assets are used and will just upload them direct to a Social Media channel where they either never get discovered or leak out to third parties – whose objectives may or may not be in alignment with your own. As we have discussed, not having a DAM makes it far more difficult to track usage since there is no intermediary stage to monitor activity. The opportunity is to use your DAM system to simplify distribution – but only for approved assets. By accepting that employees probably will send your IP out to Social Media channels then it is easier to broker a tacit or explicit agreement. If the task of Social Media distribution for approved assets is simplified then you can more easily encourage employees to distribute the media you want publicised and better constrain the stuff you would prefer to stay safely under lock and key (with clear sanctions for anyone who fails to stick to the rules). Having clarity about what is approved (or is not) makes it much easier for DAM software developers (or their integrator partners) to model functionality around. Any prospective Social Media use of an asset needs to be subject to a policy that has been determined in advance. This should be made explicit via a defined workflow (or earmarking some assets as safe for Social Media distribution). This is probably one of the major advantages of using a DAM system for Social Media – it enables the process to be properly managed and some visibility about what is being distributed, by who, where to and when. Social Media is an entirely screen based medium. This means that many assets transferred to popular platforms may need to be converted to something suitable. Many of the platforms (especially those dedicated to a given type of media like YouTube) will handle this task so users do not need to do this themselves. That said, the settings they apply are usually generic and suitable for a broad spectrum of material and may not present your media as well as it should be (this is important if you plan for an element of viral distribution where users want to pass on your content as much as possible). Ideally your DAM system should profile each platform and optimise this as far as possible automatically so users don’t need to think about the task. The section on DAM and Social Media integration later in the article describes in more practical terms how these preparatory tasks might get implemented but some quality checks and management controls will be needed so you can see what is going out as end users will experience it. 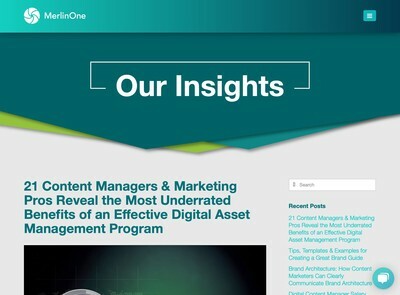 Assets have to physically get from your DAM system to the target Social Media platform. It is possible to simply allow users to upload themselves, but that introduces an extra element of risk since users might decide to modify an asset or use some software which removes the embedded metadata and other copyright data from an asset. You then lose any definitive auditing data that tells you where an asset went, when and who uploaded it. Allowing a manual upload should be a fall-back option and (where possible) the DAM system itself should support all Social Media platforms that your users are likely to need to distribute assets to. This is one of the more complex tasks with digital assets and Social Media. At a minimum, the DAM system should tell you if and when an asset was transferred to a Social Media location using any built-in capabilities. That would include details like an audit trail or log answering basic who, when and where questions. This is where those DAM solutions that have more extensive Social Media integration support can score over others that lack the direct interaction (especially with reference to the discussion about threats and opportunities give above). Each time an employee has to manually upload a file somewhere, you lose a little more tracking detail about when and how it has been used. That being said, there are some third party tools that can help which are discussed later. Collateral asset usage where an individual uses an asset without permission (on a blog or personal page) which they have sourced from a Social Media platform is much harder to identify. Whether you decide to follow up any usage depends a lot on the context and it is difficult to offer advice on the best policy to adopt in a general article like this (especially without reference to the nature of the organisation whose intellectual property is being abused). There are two key issues: ensuring that any assets could not be deemed ‘orphan works’ and then finding any unauthorised usage later so you can decide what to do about it. Orphan works are assets (usually images, but other media are applicable) where the originator or copyright owner cannot be identified. There have been legislative changes recently in the UK and EU where media assets can be used if there is no attribution provided with details of the copyright holder. The burden of proof has switched from the prospective user to the copyright holder to prove ownership. There are various methods to enable owners to do this, including embedding metadata into assets and registering them with an asset registry. The processes for doing all this are far more developed for images currently. The first line of defence for protecting against unauthorised usage is to try to ensure that they are not orphan works so the case against the infringer is clear and unambiguous if you do need to get them to remove your assets. The mechanics of detecting collateral use are covered in the following section, but as may be apparent, detecting all the locations where your assets have been used (beyond the original Social Media platform they were uploaded to) is usually complex and difficult to do accurately. This does more clearly demonstrate the importance of assigning a collection of assets which can be considered ‘safe’ for Social Media use since then it matters less where they might end up. Even that policy, however, is not entirely risk-free since on occasion assets that were previously regarded as acceptable might subsequently acquire controversy which you might not have anticipated. For example, if an image contains a landmark which is associated with a negative news event like a terrorist incident etc. Those are probably rare situations, however, and criteria like this can form part of your decision making process when you decide which assets are low risk from a Social Media distribution perspective. Direct upload of assets from the DAM system server to the Social Media platform (including using the platform’s API). Automated watermarking, stamps and other visible copyright markings. Part of this process might also include automated conversion of print to screen resolution (or colour space conversion from CMYK to RGB for print media). Metadata that is compatible with any schemas used by the Social Media platform itself so that work carried out to catalogue assets properly transfers to the external resource also. Workflow that either pre-approves assets as safe for distribution or enforces a pre-determined policy for approving distribution. Digital Watermarking tools place hidden copyright notices into images especially so distribution can be tracked. Automated crawlers which try to find where assets have been used and send reports back about where and how your digital assets are getting used. On the penultimate point, there are a number of techniques to assist with this task (both using old and new technologies). Steganography software used to be expensive to licence, but you can now get off-the-shelf tools to do it fairly easily and at low or no cost (see outguess for an open source tool). Unfortunately, image compression used on Social Media platforms like Facebook will usually break many steganographic techniques. Digital Watermarking is more effective but the software is still mostly proprietary and can be more expensive to licence for use in third party solutions like DAM. 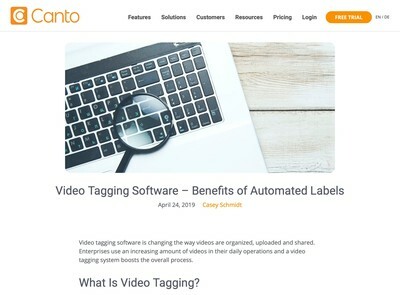 Automated crawlers to detect where images are being used is currently employed by some of the wealthier or more copyright conscious stock media libraries to identify unauthorised usage. While you might not consider that a high priority, being able to detect where assets are being used as accurately as possible offers several opportunities that are not available if you lack this information. It can be valuable as much for marketing intelligence and managing customer relationships (or ‘experience’ if you prefer the more modern expression). In the past, this technology was also technically demanding and costly to implement. There are now some lower cost commodity reverse image search services, such as TinEye which can use a source image to try and find places on the web where similar ones are used. Google Images also supports reverse image searching. A more professional service which is designed with the needs of software developers in mind is PicScout. For anyone who is interested in some general techniques for detecting unauthorised use of their images, Five Simple Tips On How To Find Your Images Online by Noam Galai contains some useful tips (these are mostly using Google Images). These may give developers some further pointers also. As with many of our other discussions about the DAM Value Chain, what should be clear is that the range of functionality required to support safe and effective Social Media distribution is expanding rapidly. To maximise the opportunity from Social Media for your digital assets, your chosen solution(s) will need to be able to integrate with many platforms. Although there are some consistent strong performers like Twitter, Facebook, YouTube etc there are a variety of other up-and-coming services plus a few that are heading towards obscurity – or just get dropped once they have been acquired (MySpace and Posterous being two examples). One of the other challenges with Social Media is that while nearly all of these platforms now offer some kind of API, there are both slight implementation differences which generate more development effort and also they often decide to change how they operate with insufficient notice. It seems unlikely that any kind of standards will be agreed between the operators as APIs are more of a niche interest for them and the larger Social Media properties will want to impose their API on everyone else to further consolidate their position. This means yet another series of interoperability protocols that DAM vendors will need to get to grips with. Some of the more specialised tasks, like detecting where assets have been used and crawling Social Media properties to identify them are more than likely well beyond what most DAM vendors can realistically devote development resources to implementing in-house. Where they plan to offer this to their users, I would expect that to be provided by a third party solution. 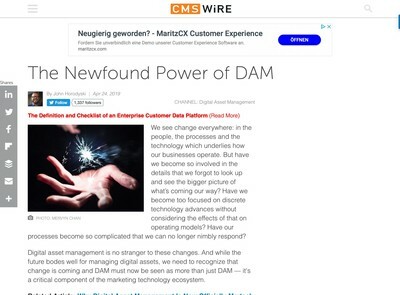 There is clearly increasing demand to integrate DAM with Social Media platforms as they are now fully fledged media channels like any other (and also have a separate identity of from more generalist websites). Along with that growth in demand is increased complexity and technical challenges for DAM solutions to enable media distribution to be managed and monitored. This will gradually become a specialist task that requires the ability to rapidly assimilate Social Media related functionality – which is itself in a state of flux. A value chain model where this can be optionally added to a wider array of capabilities seems to offer the most scalable and flexible method to address this challenge over the medium-long term. Ralph Windsor is Project Director at DAM consultants, Daydream and a contributing editor to DAM News.